Giving is a two way street. Grandparents give so much, and it is often hard to find the perfect gift for them. If you’re looking for more ideas (and you probably are if you’re reading this) then we’ve got some really unique ideas! 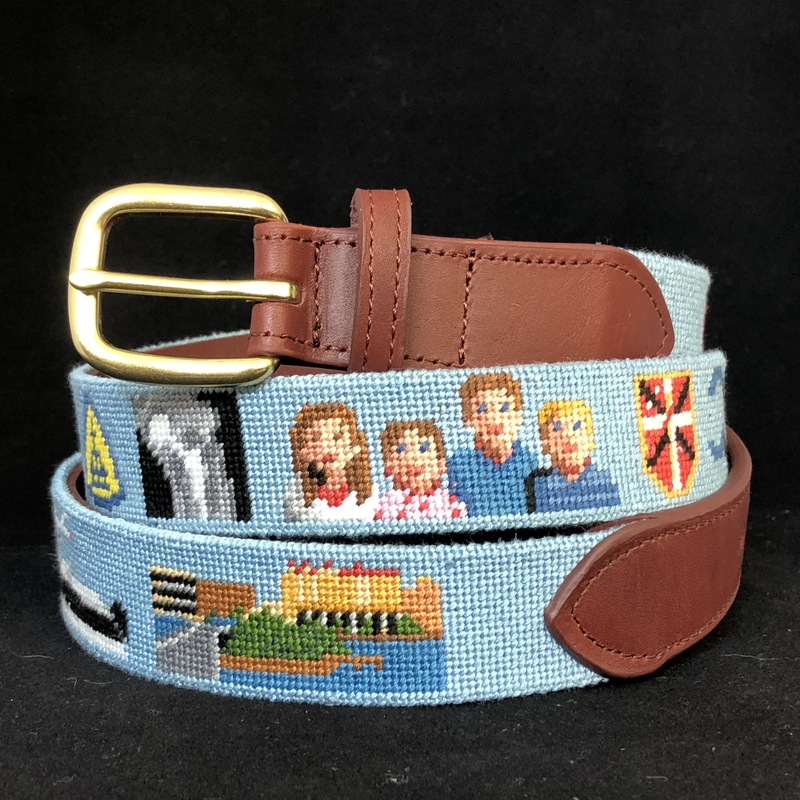 First, is a Custom Needlepoint Belt (we can do for women or men). Below is a project we recently made. Front and center, you guessed it, the grand kids! In case you are wondering, this design also features an X ray of a knee (the recipient is a knee doctor), a family crest, scuba diver (cut off), and on the lower left is a fishing boat (cut off) and an image of their hometown (Sarasota, FL). 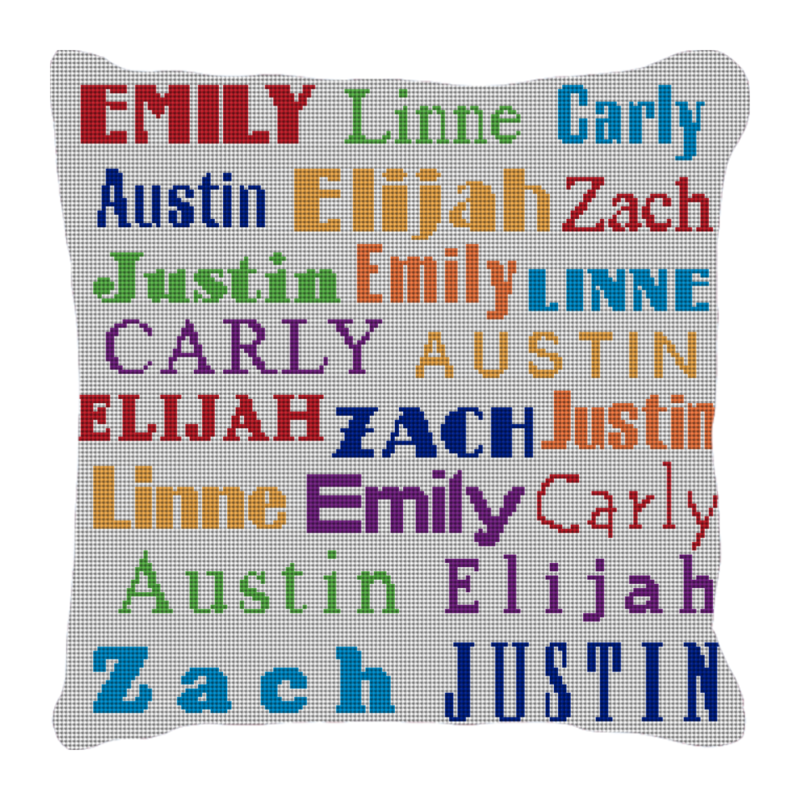 If you’re looking for something fun for the home, we have our Grandkids Names Needlepoint Pillow. If you are looking for a belt totally dedicated to the grand kids, check out the BopPop belt! We call it Grandpa’s Needlepoint Belt, and it is a totally custom project. Send up pictures of the kids and Grandpa along with his favorite name, and we’ll help create a new family treasure, sure to be worn at all family events. If you’re looking for more ideas, or can’t find something perfect anywhere, let us know! NeedlePaint specializes in designing and creating custom projects and we’d love to help.